Prof. Dr. T.R. Subramanya is currently serving as the Dean Faculty of Law CMR University (wef 4-4-2018), Bengaluru after serving as Coordinator & Research Fellow at the Centre for Regulatory Studies, Governance and Public Policy (CRSGPP) in The WB National University of Juridical Sciences, Kolkata (2016-2018). Prior to this, he was the Vice Chancellor of Karnataka State Law University, Hubballi (2013-2015). He has also been the Professor of International Law at West Bengal National University of Juridical Sciences; Vice-Chancellor (in-charge), Bangalore University; Dean and Chairman of the Faculty of Law, Bangalore University (2008-2010); Registrar (Evaluation) (2010-2012) and Registrar (in-charge) Administration of Bangalore University (2009). Prof. Subramanya has obtained M.Phil and Ph.D. Degree in International Law from the School of International Studies, Jawaharlal Nehru University, New Delhi (1993). Prior to his doctorate, he obtained his LL.B degree from Karnatak University, Dharwad (1976) and later his LL.M from the University of Mysore (1978). He has also taught at the Karnatak University, Dharwad. In the international level, Prof. Subramanya has served as Legal Advisor to the Kingdom of Bahrain for over 7 years. In this capacity, he acquired considerable knowledge of the laws and legal systems of the Gulf Co-operation Council (GCC) States and in the practical application of international law at the municipal level. He was honored with the Vijayavani National Education Leadership Award in September 2015 for the outstanding contribution in the field of education; Dr. Rajkumar State Award in 2009 for the services rendered in the field of education by Dr. Rajkumar International Foundation, Bangalore and State award of the Government of Karnataka for obtaining the highest marks in LL.M in 1979. He has also been the recipient of the Parmeschandra Guru Memorial Award for obtaining the highest marks in LL.M at the Annual Convocation of the University of Mysore in 1979. 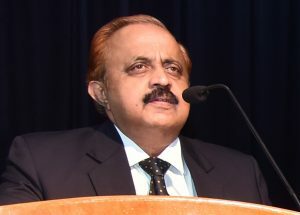 He has written two books in law and published over 50 articles in reputed law journals besides having served as the Honorary Member of the Karnataka State Law Commission for two years (2008-2010). Prof. Subramanya’s prodigious teaching experience spans over 32 years at the undergraduate and postgraduate levels. Prof. Subramanya has been a visiting Professor of Law to some of the finest Law Institutions in the country. His interests include international law, environmental law, trade law and family law.